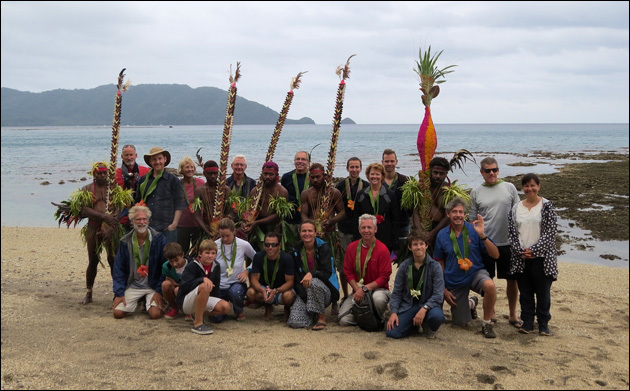 The Blue Planet Odyssey fleet of yachts, having spread out to cruise at their own pace through the islands of the South Pacific, finally came together again in a small bay on the island of Malekula in the Vanuatu archipelago on 15th August. Sailors reunited and sharing a photo opportunity with the Nalawan festival dancers. 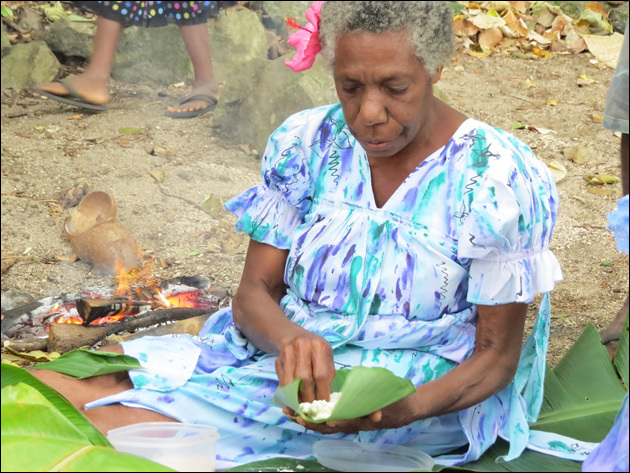 The islanders of Malekula are renowned for having preserved the traditions of their Melanesian ancestors, and the sailors were able to attend the Nalawan festival for a feast of dancing and demonstration of ancient customs. 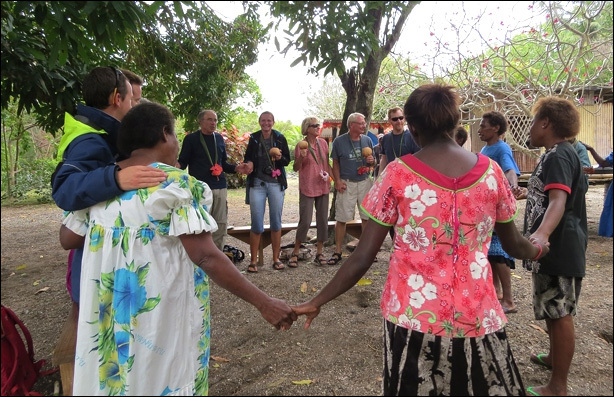 The islanders have taken on modern life as well – you can see solar panels fitted to thatched huts, charging mobile phones – and in all places visited during the two week cruise through Vanuatu, the Blue Planet Odyssey sailors received a warm Melanesian welcome. 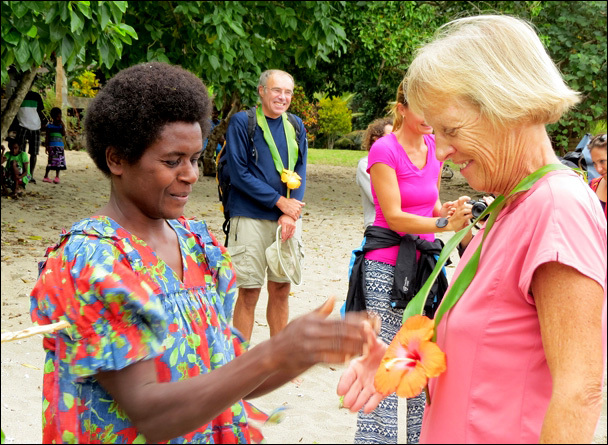 Carol from MAGGIE receives a flower garland and a welcome at Labo village. 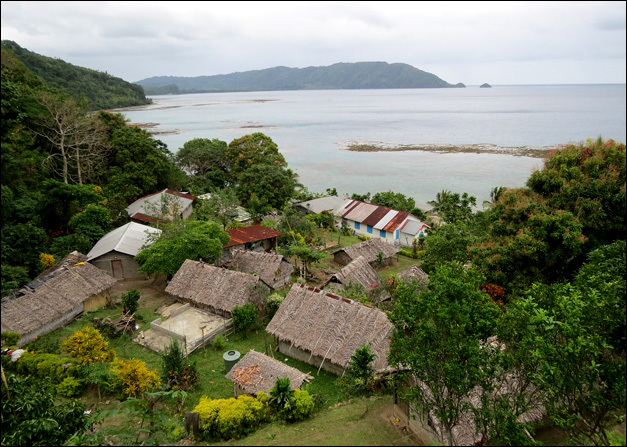 Labo village overlooking South West Bay. 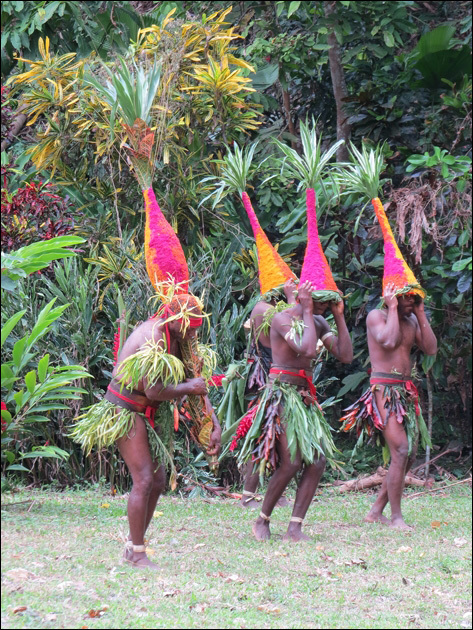 A welcome from the Bulbul villagers at South West Bay. Custom dance at Nalawan festival. 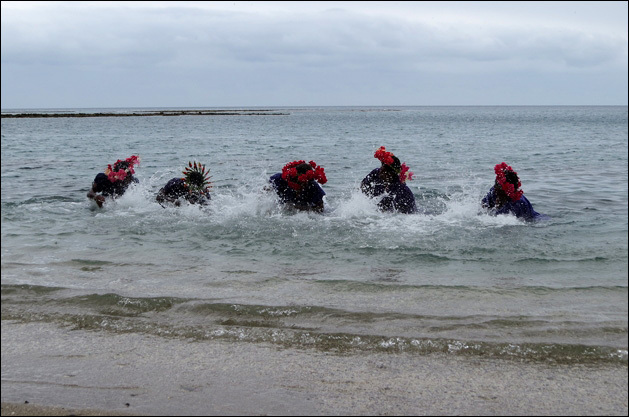 Water music from the Banks Islands performed at the Nalawan festival.